March 5, 2015, 10 a.m.
By Jack Riley March 5, 2015, 10 a.m.
Editor’s note: On Monday, Apple is expected to formally launch the Apple Watch, which will go on sale next month. As the company shows off what developers have built for its smartwatch, perhaps we’ll see something we didn’t when it was first announced last fall — some indication of how news might fit on the new device. Jack Riley, head of audience development at The Huffington Post UK, spent the past month here as a Visiting Nieman Fellow, studying that very question: How should news organizations think about the Apple Watch, Android Wear, and the new class of wearables some predict we’ll all have on our wrists soon? What are the opportunities, the risks, and the challenges? I’m pleased to share his report with you — I hope it’ll be read widely among the people making wearable-related decisions at news companies worldwide. How big is the wearable opportunity? What does a multi-device world look like for news? How might a publisher make money on a smartwatch? What should push notifications look like? What’s the right kind of content for your wrist? What are some reasons for concern? What will smartwatches look like in a few years? Of course, wearables in general and the smartwatch in particular weren’t invented in Cupertino. But the impact of the Apple Watch was such a certainty that, even before Tim Cook had stepped onstage to unveil “Apple’s most personal device ever,” I’d begun to formulate this research project on the effect that new smartwatches would have on content businesses. In the past month, I’ve spoken to many of the people figuring out wearable strategy at publishers including The New York Times, BuzzFeed, the Financial Times, The Washington Post, the BBC, USA Today, and Circa — as well as others outside the news industry whose alternative experience may help point the way for media companies. In this report, I try to cover the potential editorial, product, and commercial implications of the mainstream uptake of wearables broadly and the smartwatch in particular. But, Lord! to see how much of my old folly and childishnesse hangs upon me still that I cannot forbear carrying my watch in my hand in the coach all this afternoon, and seeing what o’clock it is one hundred times; and am apt to think with myself, how could I be so long without one; though I remember since, I had one, and found it a trouble, and resolved to carry one no more about me while I lived. The first experience I had was a sort of revulsion, because I always had something competing for my attention. Suddenly I’m in a meeting, and whereas the phone in my pocket is not a distraction, the watch is always just out of view and lighting up and buzzing. I was one of the first people to get the Pebble smartwatch. My logic was like: I can silence my phone and I’ll tailor notifications that come to my watch. I don’t have to use my phone in a meeting, or pull out my phone and be rude — I’ll just check my watch. What I learned very quickly is I was being more rude, because it looked like I was constantly checking the time. While checking your phone is still not acceptable in all settings, it still beats the palpable sense of impatience associated with raising your wrist. Checking your smartwatch in company is going to require a new set of social norms to become natural and commonplace. Confusing what’s essentially a miniaturised smartphone with a conventional timepiece is an awkward behavior partially caused by these early smartwatches’ skeuomorphism, the design tendency to create technologies that mimic analog or real-world products in order to make themselves easier for users to understand. 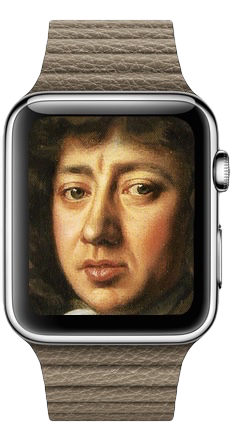 Eventually though, one imagines that, as Apple has done before, the idea of a watch as a reference point for these devices will grow less and less relevant. Before that happens, though, publishers will have to figure out how to make a new category of products work for them and for their readers. The first key question for any publisher considering a wearable product is the scale of the opportunity. How many of their current (or potential) readers will even have smartwatches? For large publishers whose mobile audiences are likely in the tens or hundreds of millions, smartwatches may seem like a small market for quite some time. The biggest player is, of course, the Apple Watch, set to be released next month; conservative sales estimates put it at 10 million units sold this year, with Apple reportedly having ordered more than 5 million units for the first run of the device; most analysts are guessing higher, at between 20 million and 30 million sold in 2015. Recent new Apple product categories have doubled (in the case of the iPad) or tripled (iPhone) shipments in their second full year after release, meaning it’s not unreasonable to imagine a potential 90 million Apple Watches on wrists globally by the end of 2016. The “attachment rates” analysts are using for Apple Watch sales estimates — the share of the total addressable market, which is anyone with an iPhone 5, 5C, 5S, 6, or 6 Plus, who would buy a watch — range between 5 and 10 percent. How about outside Apple? Over 2015, analysts at CCS Insight estimate 5 million non-Apple smartwatches will be sold, the vast majority of them running Google’s Android Wear operating system and from companies like Sony, Samsung, LG, and Motorola. That would be a leap upward: Research firm Canalsys claim that in the six months from Android Wear’s release to the end of 2014, only about 720,000 devices were shipped, with the bestseller being the round Moto 360. Over the same time period, Pebble sold 550,000 devices, taking the total worldwide shipments of the Pebble and Pebble Steel models to 1 million by January 2015, almost two years after their release. We also think though that there’s a rising tide, so Apple Watch will undoubtedly help sales of other products, predominantly Android Wear, because if you don’t have an iPhone, Apple Watch isn’t useful to you, but if you want to be with the cool kids and you have a two-year contract on an Android phone, then you’re probably going to go and get an Android Wear watch. Bear in mind that Android Wear is going to be a lot more affordable than Apple Watch. The Times’ Phelps also sees an opportunity in this early adopter and pro-fitness profile for publishers to reach a highly valuable segment of their audience: those who are both wealthy and young. The watch is truly a luxury device, because the watch requires a phone — for every watch that Apple sells they’ve also sold an iPhone. The overlap in the Venn diagram of those two groups is not very big. “Young and techie” and “lots of disposable cash” tend to be two very different audiences. So I’m left still wondering how this thing will sell. Now, if you can reach both of those at the same time, I feel like that’s the sort of golden ticket, right? You’ve found the most desirable users, because they’re young and can grow old with your brand, and they have money to spend. 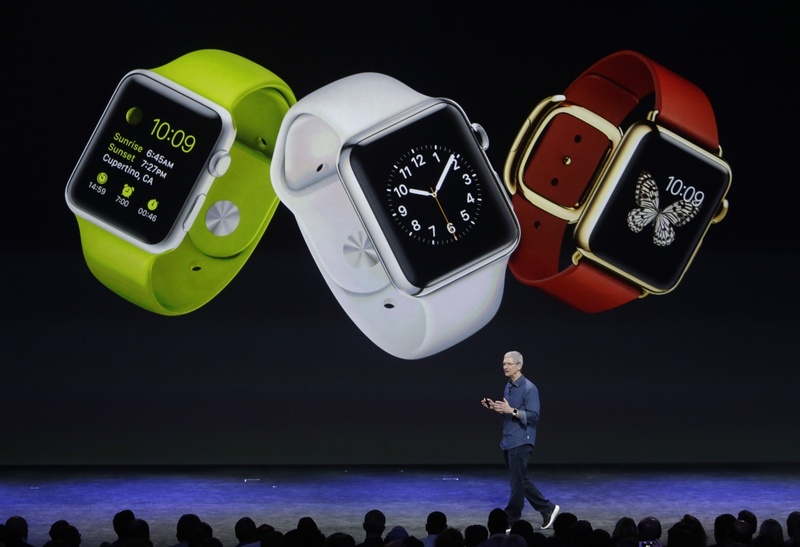 Apple CEO Tim Cook announces the Apple Watch, Sept. 9, 2014. The most interesting thing for publishers over the next few years is going to be how we link together our experience of our publication across multiple devices. To give you an example: I start reading my in-depth analysis page on FT.com in the morning, but I then get on the train and I want to carry on reading on my phone, or I get into the car and I want it read to me aloud. The less friction we create between devices for users, the more they’re going to default to your brand, your content, because it’s an easy and beautiful experience that doesn’t demand their time and effort. Publishers who do that really smartly are going to be the ones with high engagement. Historically publishers…have built products for individual devices. Now the next step is to say: Which are the most important features of these devices to us?…and work out how we can create experiences across them. To fully assess the impact of the smartwatch on smartphone usage would require a lot of user data that, for now at least, isn’t available. I heard two opposing theories in conversations around this interaction. One argues that the proliferation of wearables would diminish smartphone usage — since salient information will be instantly accessible on a wearer’s wrist. The other opposing scenario posits that the immediacy of smartwatch alerts will make users engage even more often with their personal devices, including the smartphone. But Alex Markowetz, an expert in smartphone addiction at the University of Bonn, cautioned that the idea that wearables will help users moderate their device usage is predicated on the myth that smartphone usage has a rational basis. His work has found that interactions with personal devices are defined far more by habitual behaviors than logical ones: “Smartphone usage is actually habitual. It’s not a conscious, deliberate decision.” (Think of how often you find yourself with your phone in your hand without a specific purpose in mind — or even an idea of how it got there.) For news publishers, this question might have an impact on the kind of apps to build — editorial products designed for constant checking behaviors or for notifications that limit users’ habitual engagement with the news in favor of a push-based model. 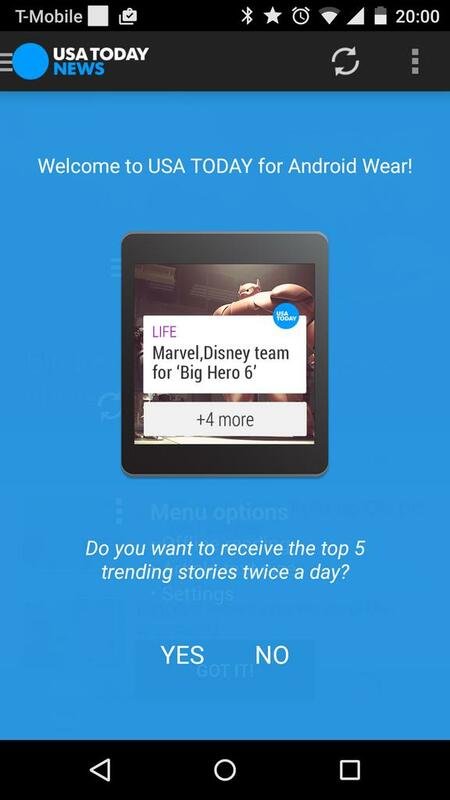 The main application is a twice-daily delivery of the top 5 stories, based on user traffic. They are downloaded at times the user sets and provide a quick overview of what’s generating the most interest on USA Today right now. The user can swipe left on any one of the story cards to either open and read directly on the phone or else to save for later reading — there’s a new “saved articles” area to hold these. From users’ perspective, we’re offering an extremely simple way to stay up-to-date on what’s “most important,” without waiting until they normally sit down to read the news or forcing them to dig out their phone/tablet and check headlines. We know that news consumption tends toward frequent checks throughout the day, keeping up with the latest developments. The Wear app lets them do this in seconds. From our perspective, we’re placing our brand and content on a screen that is constantly checked throughout the day. This provides yet another opportunity for users to engage with us — outside the existing news-reading times — ideally resulting in increased visit frequency. We’re not talking about sending a 30-second video clip to a watch. We’re not talking about sending a banner to a watch. What we’re talking about is how we provide an additive experience to the consumer in a way that they’ve opted in for, or done in a way that’s not highly intrusive. For publishers, the risk of missing out on a new platform is real. “Given that we, the industry, practically haven’t figured out how to monetize mobile, I’m a little concerned about wearables,” the Times’ Phelps says. The multi-device nature of wearables’ rise may differ qualitatively from mobile disruption, though. Mobile traffic usually rises at times of the day that desktop traditionally didn’t cater to, like early morning and evenings. Wearables will exist alongside mobile content consumption, since the devices are intended, at least in the near term, to work with an accompanying smartphone. Publishers may be looking to smartwatch alerts to drive attention into mobile experiences — where monetization is, while still fraught, better understood. Setting aside traditional display advertising, the opportunity for publishers to derive revenue from wearable devices is likely at first to be limited — but three possibilities stood out in my interviews. First, there may be native opportunities for publishers to generate content used in brand-led applications, from which they could derive direct content licensing or partnership revenue from a brand. Delivering relevant content and “surround[ing] it with a brand,” as Malmad described it, may open up new opportunities. Imagine a Budweiser-branded nightlife guide that uses Time Out content to furnish location-specific smartwatch alerts with star ratings of local bars when a user is traveling around a city on a Friday or Saturday night. Second, the wearable device is potentially a powerful channel to activate smartphone use for ad-supported publishers, where business models are starting to mature. Even where an alert is not translated into opening content on a smartphone device, publishers may benefit from the positive effect of building product loyalty that keeps a user engaged with a brand for future interactions. Third, subscription publishers may find that wearable products are an additional service to boost the perceived value of multiplatform or mobile-only subscriptions. Both The New York Times and the Financial Times indicated to me the advantage they perceive their mixed ads-plus-subscription models to have on wearable platforms. “As it stands, at least with Apple,” Phelps told me, “the watch apps are directly tethered to phone apps and require a parent phone app. And so a pricing strategy that makes sense for the phone app may just extend to the watch.” For financial and sports publishers in particular, the timeliness of their alerts is key to their perceived value, and as such they may represent a greater opportunity than in traditionally lucrative content verticals like lifestyle and travel. If you look back over time, advertisers said ‘We’re not going to advertise on the web,’ ‘We’re not going to advertise on Facebook,’ ‘Facebook makes no sense,’ ‘Twitter makes no sense,’ ‘Snapchat makes no sense’…It doesn’t make sense based on what you see today. But if you have hundreds, millions, or billions of people using it, then you’re going to figure out a way. 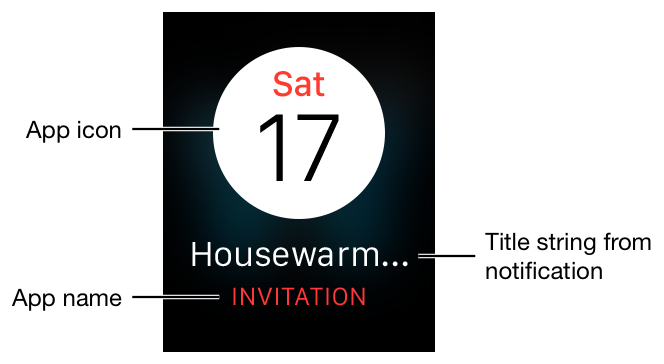 An example of a notification on Android Wear. The New York Times reaches about 15 million devices with our breaking news alerts, which is just a crazy number. No communication medium in history has ever allowed us to reach that many people all at the same time, maybe with the exception of television. I mean even if our Twitter account had 15 million followers, only, what, 2 percent of them would see a tweet at any given time. We have this great power in being able to say whatever we want to all of these people at a moment’s notice — and so with that comes a lot of responsibility. And unlike television — with the exception of something like the Emergency Alert System — a push notification can change what you’re doing at any time. Everyone I spoke to believes the notification to be the primary type of user interaction on smartwatch devices. On the Apple Watch, there will be two types of notification. One is a Short Look, that comes up when an app has something to tell you, with just a glance at that information. Then, there’s a Long Look, triggered if you leave your wrist up with the notification on, which will display more information associated with the notification. On Android Wear, the notification either sits in the background where you can look at it any time or alerts you and lets you tap on it to expand or swipe for other options. The pitch that [Apple] are making as the top-level proposition is that it’s a much much more personal device. And therefore one of our issues with notifications at the moment for us is that at the moment we don’t have much personalization in notifications. [When] we send a BBC News alert, it goes to everybody — no matter what time of day or night it is, wherever they happen to be, and regardless of whether or not they’re interested in that particular topic or not. Apple is emphasizing the “personal” aspect of the Apple Watch; executives used the word 19 times in its introductory announcement. This thematic focus has certainly filtered down to publishers, who overwhelmingly cited both personalizing content and using a more personal tone as central to developing successful smartwatch content. Since the Apple Watch is “such a personal device, it makes perfect sense to be pushing more personal alerts,” Phelps says. 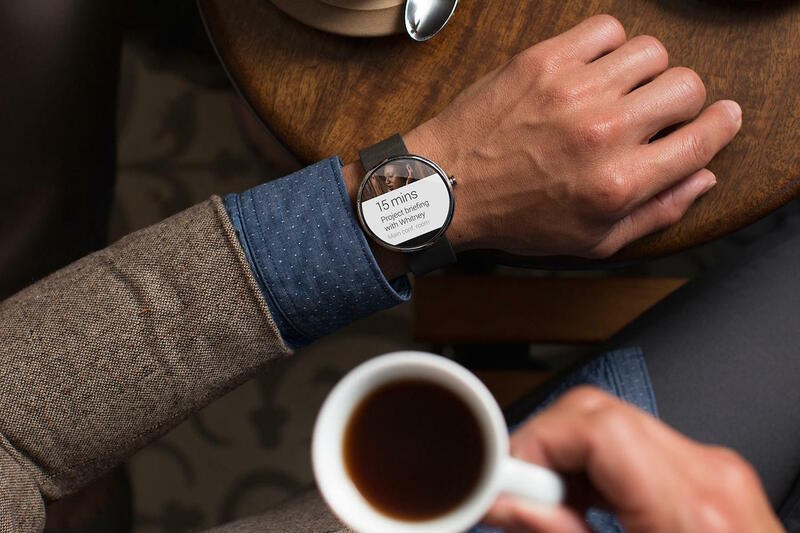 On wearable products, “personalization is a given,” according to USA Today’s Julian Richards; at The Washington Post, Marburger said “maybe a wearable strategy is personalization overall”; Alex Walters at the Financial Times described personalization as “the most important factor” in a wearable content strategy. Many publishers will face both technical and resource challenges in personalizing their content for wearable products. Besides being able to rely on a user’s iPhone or Android phone to build a rich personal profile of users, new smartwatch devices have their own suite of sensors to assist with this process. For the first part of its lifespan, the wearable was defined by its sensors, since Fitbits and Jawbones used them to track your fitness behavior. Despite some of the health-tracking aspirations having been pared back in the Apple Watch, most smartwatches will still have microphones, ambient light sensors, accelerometers, and heart rate monitors. Some have GPS and mobile reception built in, while other rely on the attached phone for that data. The more relevant use cases are less around data garnered from a wearable…similar to pulse rate than data you can garner in terms of where someone is — and focusing breaking news or local news alerts based on location rather than that kind of personal data. The Apple Watch at launch will have only very restricted hardware access for developers, so it might be that we don’t see news products that take advantages of those sensors for some time. But Kurt Mueller, a developer I spoke to at Concentric Sky — a development company that’s created products for National Geographic and the UN — thinks that Apple will unlock them as the product matures. Just as with the original iPhone, the toolkit will be opened up so that developers can eventually tie news products in with the richer picture they’re getting of their readers. That could mean apps that send you post-workout meal recipes, or that tie into your daily routine — knowing when you’re talking a walk around the block to send you an update on a story you’re interested in, knowing not to push you breaking news alerts when you’re out for a run, or knowing that when you’re sitting down at work, it’s not a great idea to distract you. The next feature of the phone [should be] a feature that lets me interact with the phone less frequently. The phone that helps me leave the phone alone. Because I’m a knowledge worker, that’s how I make my money — by thinking — and I don’t want to be interrupted. Personalization alone is fraught with problems. When you recommend something to someone using an algorithm and they don’t like that recommendation, you’ve lost them. So now you combine that with the fact that you’re interrupting their day on yet another device and it’s really a minefield. We also have to tread lightly because nothing is more terrifying than the simplicity with which a user can disable alerts from this provider forever, and that the biggest and best form of retaliation is in the user’s hands. For Noah Chestnut at BuzzFeed News, the notification represents an opportunity to adapt the tone and voice of a publisher: “Notifications are difficult. It’s a new format and it’s a new form that has this sense of immediacy. But also because the most common form of notification is a text message, they can also be silly, they can be light, they can be personal.” Noah cited the impersonality of mainstream breaking news alerts as a drawback for publishers looking to extend their notification strategy to wearables. The alternative is to make notifications more like the content they coexist with on a platform. Since they sit alongside text messages, their tone could be more social and friendly. Publishers with a more traditional voice will find it more difficult to adapt than publishers like BuzzFeed and Vice who’ve already cultivated this social tone. There’s an interesting challenge when it comes to summaries and evolving news, in that when a story that you’re paying attention to continues over time, summaries get worse and worse over time — because there’s only so much that you can do in the way that everybody writes articles today. You’re writing for two audiences: the audience that has never seen this subject matter before and the audience that has. You have this issue of background. When you do a summary, you continue to have those issues of background — it’s just now you’re working in less space. So there are certain challenges that would come up otherwise, and I think for our purpose, atomization was always the choice — because we always knew that if a reader wants to be continually informed, then we would have that opportunity and be able to provide that without some kind of condensed, watered-down version of the facts. So not only have we been prepared for this for some time, we’ve been producing [atomized content], which is a very unique and distinct advantage, because otherwise your best bet is summaries. If I’m walking onto the platform and I have a watch that buzzes and says there’s a Red Line delay, that’s handy, but do I know that came from the Post, or Yahoo, or the actual Metro company themselves?…That’s something that we could do, but that’s very specific. Are we going to be able to scale out across the entire world for that? No, because Google already does it, and Google will do it on devices like that. So it could be fun and cool, and we [could] try it out and a couple of readers like it — but that’s not really a strategy. These new platforms and sensors create a wealth of opportunities for news publisher to innovate with creating and delivering content to users. The majority of publishers I spoke to described a first wave of content products primarily based around notifications, but delivered in a more personal tone and more relevant than the normal breaking news alerts delivered by smartphone apps. But in the course of our conversations, many potential concepts for future products came up. Since [the smartwatch] is such a personal device, it makes perfect sense to be pushing more personal alerts. One example might be saying “Good morning!” to the user as soon as the watch detects motion and providing a link to a roundup of the day’s news or some sort of a briefing. Another one might be recommendations of articles we think you might like that are doing particularly well on social media right now. One idea could be that we’re not going to send quick headlines like Yahoo News Digest — we’re going to maybe send one push onto your watch when we know that you’re in a very specific scenario. Say I’m on my way home from work and I get a story that’s just a randomly selected feel-good story. Because that’s when I want to play a game — I don’t really want to think; my mind is busy, I’m already overloaded. Here’s a good story about a guy that rescued some dogs. BuzzFeed’s Noah Chestnut also expressed the idea that only pushing straight news content would be unnecessarily limiting: “With a watch, I do think that opinion has a different role to play than it may have with a push alert on a phone.” Content delivered by news publishers could be intended to start conversations and waves of sharing rather than just inform a reader or encourage them to read content on their phone. When I’m walking into a store, I could get a push notification to my phone as well as my watch, giving me information as related to that product and recipes around that project that I should swipe and learn more about. So location is critical, as well as timing…With the smartwatch, it just makes it more imperative, because a lot of times you’re not going to have your phone in your hand at all times. Take a golf magazine and a golf site, and I’m on a golf course. There’s a program that this golf company does where being able to track historically where Arnold Palmer hit a 275-yard birdie. So we can deliver a really interesting story that’s pushed to your watch. It’s very technical, but it brings it to life. We’re taking all the data that exists and we’re able to tell stories around that. A man wears a Moto 360 at Google I/O, June 25, 2014. Some things will be possible to track — how many times people go back to the smartphone app because of something they saw on the watch, for example. But one of the core experiences — the notification — will happen in a kind of data vacuum for publishers. Since the most common technical engagements may be a user either acting on the notification to open a story on their smartphone, saving to read later, or even opting out of notifications altogether, there’s a significant range of responses to a notification that are not captured by a technical, trackable action. How do you judge the success of a user glancing at a notification — an action that might result in no trackable engagement at all? “For notifications, we don’t have that behavioral data that we do have with a click,” Noah Chestnut said. “If your job is to increase traffic from Facebook, you can get really good at optimizing that. But so much with the notifications on the watch is actually internal — or it’s a conversation in person — and we don’t get that data. We frequently take test groups of our users and we put new prototypes in front of them so we can establish things like whether articles at full length on a wearable-device screen size work for them. And that really is what dictates how far we go with things. The other commonly cited concern in interviews was that smartwatch operating systems could start to control access to notifications in a more meaningful way, disabling publishers from sending certain types of alert or alerts over a certain frequency threshold. With most publishers anticipating that notifications will be the primary method of readers encountering their content on a smartwatch — as opposed to a user opting purposefully to open their app — this dependence constitutes a significant issue. Moreover, the diminutive screen and lack of a browsing experience makes routing around OS control, in the manner of the Financial Times’ 2011 move to web apps over iOS apps, practically impossible. A critical part of the ecosystem is going to be the extent to which iOS or Android Wear as an underlying platform intelligently begins to refine when and where it surfaces these notifications for people. Google Now’s third-party app integration may constitute the most relevant example of publishers allowing Google to intermediate between users and their services in this way. Via Google Now integrations from publishers, initially featuring The Guardian and The Economist, Google now has the potential to surface foreground or background content in Android Wear via Google Now without a publisher initiating that push. I think Apple has a real problem here. 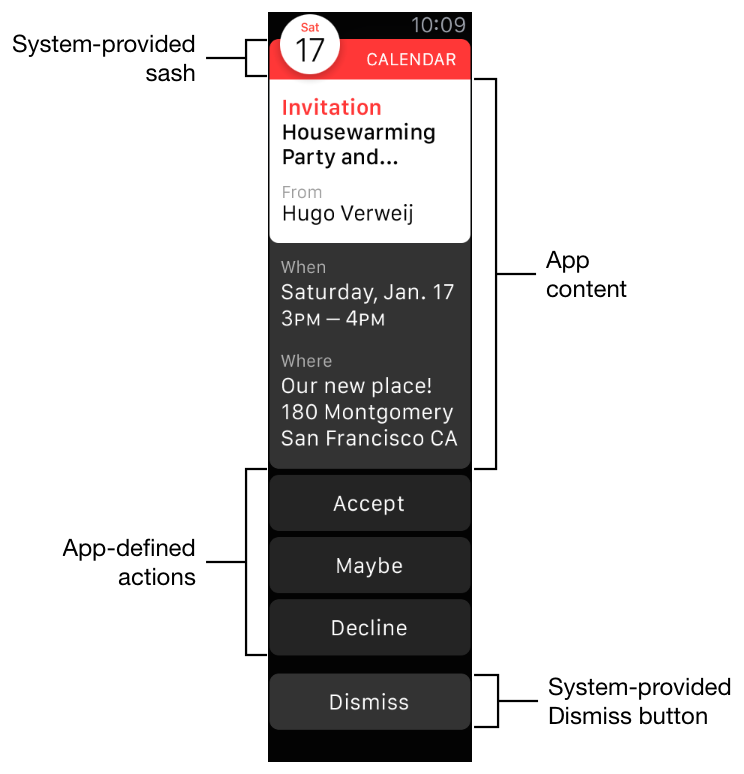 They designed push notifications before anyone really knew how they would be used. If you look at Apple’s guidelines now for how developers are supposed to use push, there are very strict rules that were written probably 4 years ago that say you cannot use push for any sort of marketing purposes. Well, nobody follows that rule, practically. And I’d love to see what those guidelines would look like if they were written today. This could be a critical component if, as many believe, one primary effect of wearable technology will be to accelerate the trend of apps that exist as notifications only. “A notification should exist without the app ever having to exist,” Chestnut said. Whether or not developers get notification layer access on Apple to handle other apps’ notifications, Apple themselves may have to change notification handling to account for the changing nature of push notifications on Apple Watch. You’re presented with the last fastFT stories that have been published and…information on roughly how long it’ll take from Spritz for you to read the story at the reading speed you have the device set at. When you tap on one of those headlines, the fastFT story then scrolls across the screen with your eye being led to one letter, usually by a red bar, so you can speed-read the article at the chosen number of words per minute you have the app set at. We wanted to create an app that allows people to get through fastFT content as quickly as possible because the news that we’re breaking is market moving, so the faster we can get that delivered to our users to enable them to absorb it, the better for them. Because of the limited screen real estate that you’ve got, the main challenge is working out what’s the most important information that we can put on a screen of that size to our users, what will they find most useful to have on that device, and how can we render that content in the most elegant and rich way possible without making it feel cluttered. The other great challenge is establishing the critical mass of a device or a platform or any kind of mechanism for distributing journalism. We would love to make apps and content provided for all kinds of different weird and wonderful devices, but it’s just not realistic to serve every corner of the market…so we have to establish where our users are. 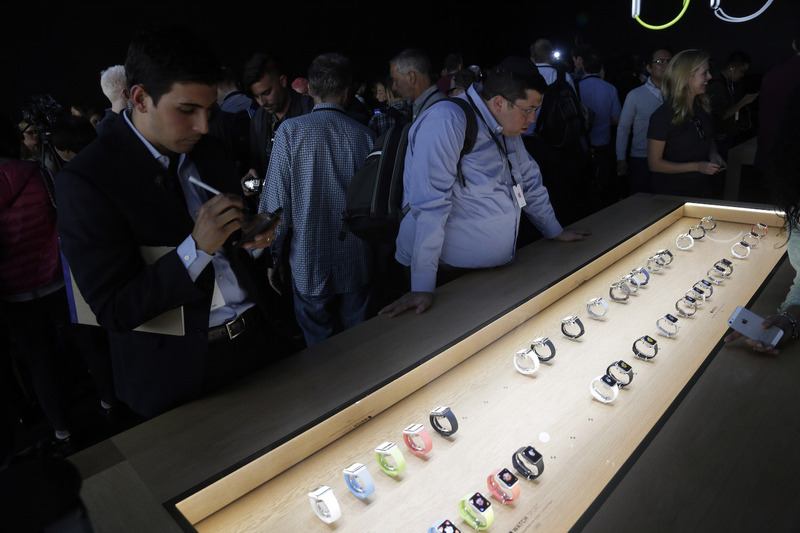 Members of the media and others examine the Apple Watch, Sept. 9, 2014. At the moment, what this turns into is an arms race for the big publishers to make sure you’ve got your app installed with as many of your loyal users as possible, and I strongly suspect that it is the app on the mobile phone that’ll remain the personalization hub of how you manage your preferences across these devices. [The Apple Watch] is going to do for wearables what the iPhone did for smartphones and what the iPad did for tablets. We have had these things before, but it won’t be until this moment…that we’ll really see the potential of the space. I think that far too many people are comparing the Apple Watch to any of its predecessors, and that’s no different to someone comparing an iPhone to a BlackBerry and complaining why there’s no physical keyboard. This is going to open up minds, and it’s going to dramatically change a lot of things. There’s a lot left to figure out in the market. We’re not going to understand the full implications for two or three years. But I believe that this thing is going to be huge. The opportunity for building significant revenue and audience for publishers in wearables in the near term is slight, even if the Apple Watch realizes the potential mobile industry analysts see in it. The advantage to those in the news industry who capitalize on the novelty of the smartwatch platform in its early stages are chiefly focused on the halo effect of being perceived as having ‘cutting edge’ products. There may well also be a small number of commercial native advertising partnerships that could deliver direct revenue as a result. Early adopters will be relatively few in number, but demographically appealing to publishers. Smartwatch adoption will be small at first — certainly when compared to the enormous growth in smartphones. But early Apple Watch adopters are likely to be particularly desirable for media companies — young, tech savvy, and with significant disposable income, often combined with an interest in fitness. Publishers that already targeting those wealthier audiences may have an edge. Wearables are the beginning of a multi-device product mindset. From a technology perspective, the key shift will be for publishers to consider their iPhone and Android products as deploying onto multiple platforms, with an experience that is linked technically and experientially for users. Phone and watch will be more tightly linked than phone and laptop have been, and much of the user experience will be defined by movement in between devices. Notifications and content will have to be personal, relevant, and glanceable. Rather than just moving existing content to a new platform, the key challenge for wearable product creators will be to build and select content on the basis of its relevance to a user, to deliver it in a more personal tone, and to create it so that it can be consumed at a glance. There’s a divide in how users may react to notifications, the defining interaction model of the watch. Some publishers see a content experience that extends from smartwatch to smartphone; others focus on a wearable notification layer than exists without involving an accompanying mobile journey. Particularly in the latter case, the suitability of the content, and its potential to be shared directly from a watch interface are key to developing an effective user experience. New social norms will develop around giving attention to your wrist. Watches could lead to media consumption in new places. While smartphones are used more in the home than when news readers are really on the go, the smartwatch’s low friction user experience may represent the chance to reach people when they are between locations — as well as in traditional digital consumption locations like the home and workplace. Data will be a challenge. Useful user analytics will be hard or impossible to come by, at least in early versions of these devices. That will make it hard to judge what’s successful or not working about what publishers offer. Qualitative reporting — user panels, focus groups, user testing — will be a necessity for publishers to build a rich picture of users’ wearable experiences. It will take years for smartwatch adoption to reach significant scale — if it ever does. Apple’s big bet on the device is heartening to those who want to see them succeed. But unlike the iPhone — which promised to reduce your device count by combining your iPod with your cell phone — the Apple Watch proposes the utility of adding an extra device to user’s device profile. Given Apple Watch’s pricing and requirement for a recent accompanying iPhone — and the fact that many consumers are yet to be won over to the smartwatch category’s utility — it could be that Apple Watch, Android Wear, Pebble and others all struggle to find a mainstream foothold. Jack Riley is head of audience development for The Huffington Post UK and completed this work as a 2015 Visiting Nieman Fellow. Photo of stacked Moto 360s on table by TechStage used under a Creative Commons license. 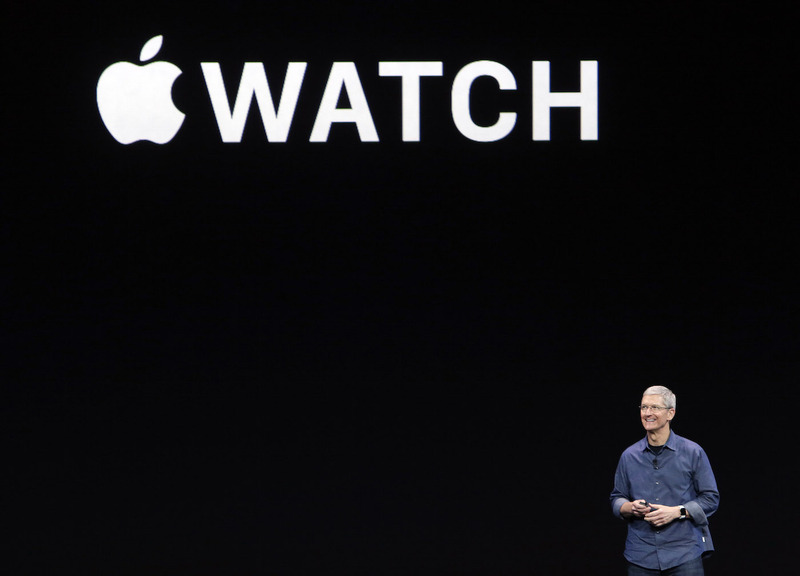 Photos of Tim Cook announcing Apple Watch and watches on display by AP/Marcio Jose Sanchez. 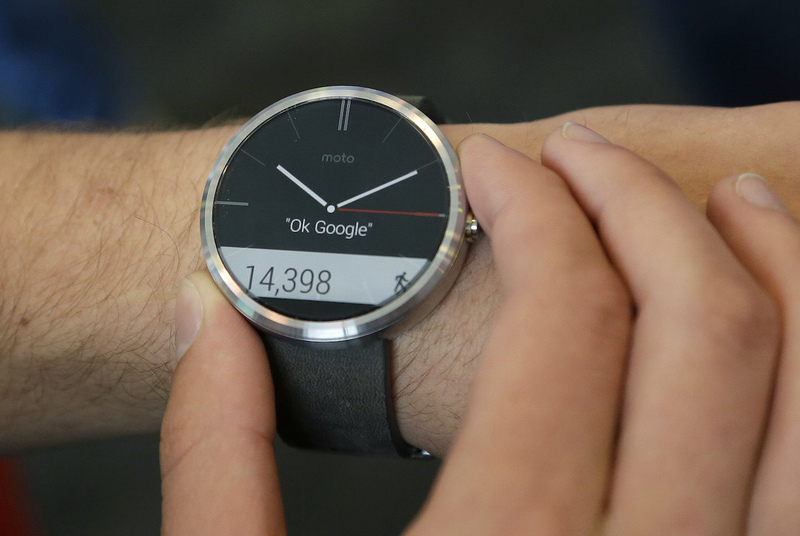 Photo of Moto 360 at Google I/O by AP/Jeff Chiu. Other photos courtesy Apple, Google, and Motorola. POSTED March 5, 2015, 10 a.m.
Riley, Jack. "The next stage in the battle for our attention: Our wrists." Nieman Journalism Lab. Nieman Foundation for Journalism at Harvard, 5 Mar. 2015. Web. 24 Apr. 2019. Riley, Jack. "The next stage in the battle for our attention: Our wrists." Nieman Journalism Lab. Last modified March 5, 2015. Accessed April 24, 2019. https://www.niemanlab.org/2015/03/the-next-stage-in-the-battle-for-our-attention-our-wrists/.